According to Markets Insider, the global construction output is estimated to hit $12.7 trillion by 2022. One of the best ways construction companies and builders can capitalize on the continued expansion of the construction market is by moving to a cloud solution like Sage 100 Contractor Hosting. And, while there are multiple ways in which cloud can boost growth and help businesses achieve their ROI goals, Sage 100 Contractor hosted on the cloud can be particularly effective in enhancing the effectiveness and job responsibilities of the contractor. By utilizing cloud-hosted Sage 100 Contractor, contractors and project managers can achieve process efficiencies, increased business agility, and productivity, as well as improved levels of team collaboration. It comes with endless possibilities, each of which can help drive the business towards new levels of growth and competitiveness. According to a 2017 survey performed by Associated General Contractors of America in collaboration with Sage Construction and Real Estate, it was found that 85% of construction contractors either use or were planning on switching to cloud-based solutions. In contrast, a survey conducted in 2012 by Sage found that only 16% were of the opinion that cloud was important to their business. It is important to note here that one of the reasons why we see construction businesses and building professionals switch to the cloud is an expanding mobile workforce within the industry. People don’t want to be tethered to a physical location or a desktop anymore. They want and expect employers to provide them with location and device-neutral solutions making it easy for them to securely access critical business data in real-time while enjoying robust collaborative relationships with co-workers and other professionals in the field. This is where a cloud solution like Sage 100 Contractor Hosting can have a huge impact on job responsibilities and activities of contractors. Here are five reasons you need Sage 100 Contractor on the cloud. Projects cannot be managed from physical office locations – contractors are required to be at a hundred different locations at any given point of time. They need to move between field offices and address various other project-related issues from a variety of locations. 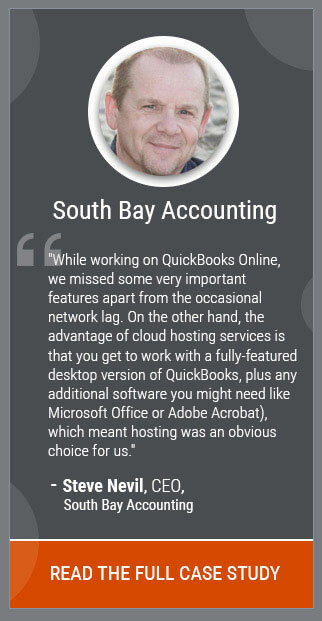 By having Sage 100 Contractor on the cloud, contractors can benefit from on-the-go mobility. Decisions can be taken, and necessary instructions can be relayed to concerned parties, regardless of the location. Moreover, as the cloud solutions are device-neutral, contractors can use their smartphones or tablets to carry on with various project-related tasks. They also don’t need to physically carry cumbersome project-related documents since all kinds of data can be easily accessed via the Internet. Business continuity is a critical area of concern for all businesses – including construction. The last thing you want is for project work to be stalled or delayed due to a hardware or software break in your system. The risks are far too many – not only does business/project continuity take a hit, but more importantly, the risk of data loss can be disastrous for the business. But, if your Sage 100 Contractor is on the cloud, these worries can be effectively mitigated since the competent cloud providers implement Business Continuity and Disaster Recovery (BCDR) plan in their cloud services to identify and mitigate all types of risks efficiently. Also, your data is stored in multiple geographical locations to recover the data in case a particular location is affected by a disaster. Moreover, the cloud providers offer 24/7 customer support to ensure that all your hosting-related issues are resolved on time. 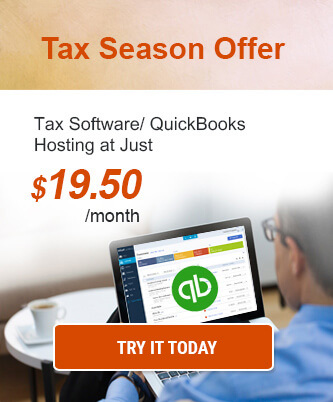 Hence, it saves you the trouble of employing an IT team in your premises. Project data is the roadmap of how the construction process is going to proceed. Such critical data should be hosted in a secure environment to avoid any hindrance in the construction process. With Sage 100 Contractor on the cloud, the hosting providers make sure that your data is kept under multiple layers of security at physical, network, and administrative levels. To ensure optimum security, the cloud providers deploy security safeguards such as multi-factor authentication, data encryption, Intrusion Detection and Prevention Systems (IDS & IPS), among others. Collaboration is intrinsic to the construction industry. However, never before have construction businesses, contractors, and building professionals felt the pressing need for seamless collaboration as they feel in today’s hyper-competitive market space. In the earlier days, efficient collaboration was something that big construction companies could afford. This meant that smaller and medium-sized organizations found it difficult to compete. But cloud can level the playing field for all sized construction businesses – Sage 100 Contractor hosting can effectively boost collaboration with employees and among team members as well as between clients and other contractors or project heads. Contractors who can seamlessly collaborate with multiple players within the project pipeline can get tasks moving and completed on time. 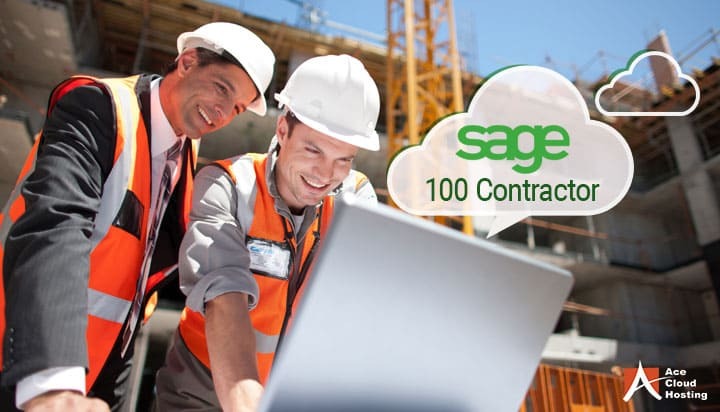 Any task or decision which requires a collaborative effort can be done faster, more efficiently, and far more cost-effectively with Sage 100 Contractor on the cloud. Moreover, the project members can access and make changes to the files which can be shared with others in real-time. This leads to prevention of data duplicity resulting in a streamlined workflow. The construction project includes various costs related to raw materials, labor, and equipment, among others. The budget overheads are a common issue in the construction process and any step leading to reduction in the costs is a welcome move. With Sage 100 Contractor on the cloud, the contractors can experience a reduction in the capital as well as operational expenses. As the software and data is hosted on the cloud, there is no need for high-tech hardware in the office. This reduce IT expenditure significantly. Moreover, since the cloud providers offer 24/7 support, there is no need to employ an IT team to take care of the hardware setup. Construction companies and building professionals who migrate to the cloud can take advantage of technology advances in a manner that will drive business productivity, continuity, and security. A cloud solution like Sage 100 Contractor hosting can enable contractors in charge of projects that span geographies to accomplish a lot more with fewer resources. The elimination of hardware limitations, improved accessibility, and prevention of data loss easily outweigh the collective benefits of legacy or traditional technology platforms. 5 Reasons to Choose Sage 100 Contractor Hosting 7 Reasons to Host Sage 300 CRE Management Software on the Cloud 5 Things Contractors Should Look into in 2019 Why Should You Host Your Sage 100 ERP System on Cloud?